* Price exclusive of GST. Singapore customers will be charged GST upon checkout. 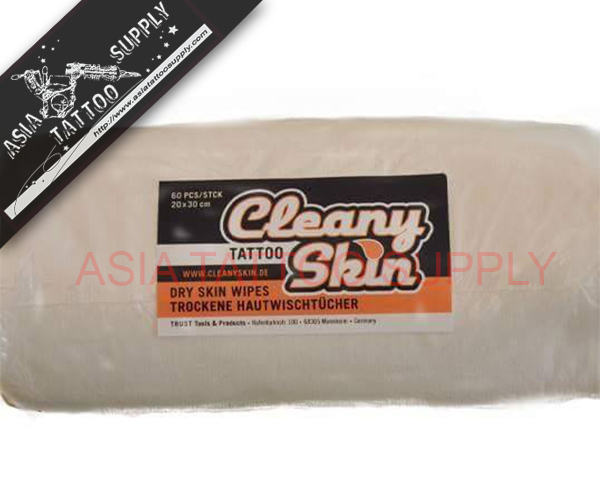 Cleany Skin Dry Wipes, for use during tattooing. Cleany Skin wipes can be used dry or wet. They are very strong and soft and will keep the skin from becoming red and agitated even after frequent wiping during the tattoo process. © Copyright 2013 Asia Tattoo Supply. All rights reserved.